Heroism is defined as conduct exhibiting courage, daring, skill, and self-sacrifice. 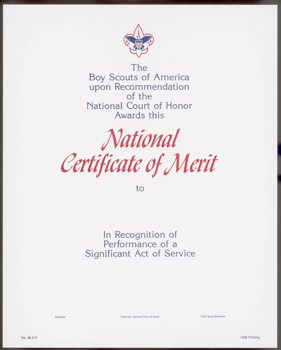 These awards may be awarded to any registered youth member or adult leader. Click here to download the application of recommendation. After completing that form and providing all requested information & documentation, send it to the Council Office.